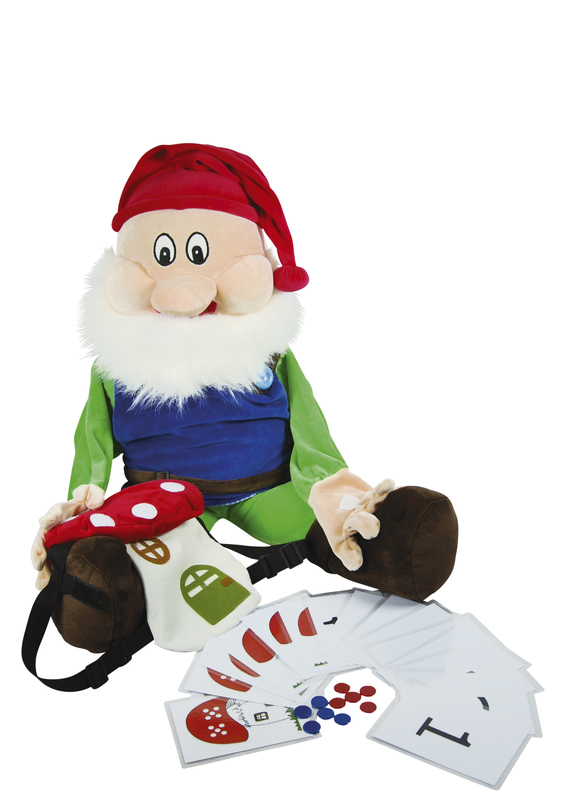 Our Handpuppet Gnome with rucksack is 85 cm tall and has an opening at the back of his head to move his mouth and tongue and also open sleeves to insert your hands and play with Gnome’s hands. Our handpuppet is a funny guy. In his rucksack he has all his attributes for learning to count from 1-10 with help of pictures of toad-stools, figures and coins. The rucksack can be easily put on his back with velcro. The rucksack is big enough to store other things that he collects.